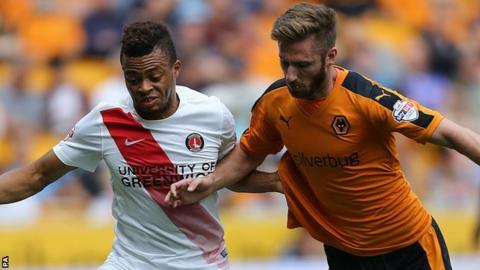 Wolves winger James Henry has signed a new two-year contract, with the option for a further 12 months. The 26-year-old's current deal was due to expire at the end of this season but he will now stay at Molineux until at least the summer of 2017. Henry, who was linked with Charlton in the summer, joined Wolves from Millwall in October 2013 and has scored 16 goals in 83 appearances. "I wanted to stay and play my football for this great club," said Henry. "I'm delighted to get it sorted and secure my future here for the next couple of years." Head coach Kenny Jacket told the club website: "We're really pleased with James, he's battled hard this season and been one of our better players. "I do feel now, at 26, that he has his best years ahead of him and he can continue to be a very good player for the club."